How much capital investment do I need to start my own AMAES franchise school? What is inclusive of my capital investment? Merchandise fund for ancillary items: uniforms, textbooks, etc. Pre-operating expenses: salaries & wages of admin personnel, security services, local marketing expenses, permits & licenses, etc. What is the minimum area requirement for AMAES franchise schools? *These are measured by floor area. When do I expect my Return on Investment (ROI)? The standard period for capital investment recovery is 2 years. The remaining 8 years is a great opportunity to grow your income. Why should I invest in a school franchise rather than other businesses? Filipinos put premium on education because they consider it as one of the means to ensure their future. Research shows that a huge chunk of Filipinos’ monthly household budget is spent on education. Furthermore, AMA Education System is highly regarded in providing quality education at an affordable cost. Franchisees share the same legacy with AMAES as they become part of the development and fulfillment of the dreams of thousands of young Filipinos in their communities. Why do you highly recommend to franchise AMA Basic Education? 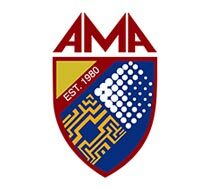 AMA Basic Education (AMABE), formerly known as St. Augustine International School, offers Math and Science oriented-education using the world acclaimed GEMS (Great Explorations in Math and Science) method of teaching made famous by UC Berkeley Lawrence Hall of Science. Its instructional methodology is geared towards maximizing the interest of young students through fun and intelligent activities that would enhance their logical, analytical and creative thinking skills through participative and interactive learning. The franchise fee for AMABE also covers the permit to offer Senior High School Program. This is a huge market which Department of Education (DepEd) expects to reach up to 1.3 million incoming senior high school students this school year 2016-2017. Do I need to have a background and experience in school administration to be qualified as a franchisee? As long as you have business acumen, financial capability and willingness to learn, background and experience in school administration is not a necessary requirement for you to become an AMAES franchisee. We provide trainings and operations manual to prepare you on the day-to-day operation of AMAES franchise school. Furthermore, a start-up management team will be assigned to assist you with marketing, DepEd/TESDA/CHED permit processing, faculty selection and training, course curricula, education material, research and development, and regular business valuation.